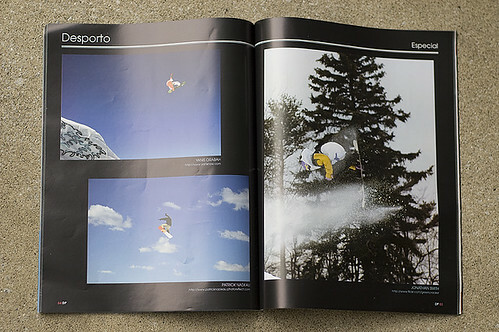 Jorge Pinto Guedes, Editor-in-chief of the Portuguese photo magazine DP – Arte Fotográfica asked for my permission to publish this snowboard photo in their latest issue. It’s rather flattering to have a magazine show up in the mail with my photo printed on an entire page by itself. And even more interesting that it’s in Portuguese!